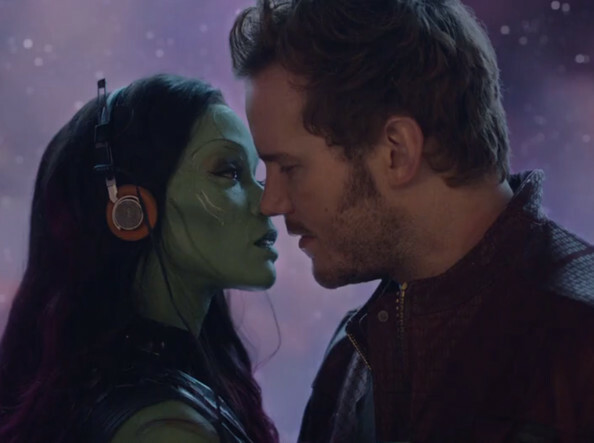 (From Marvel Entertainment)The new Guardians of the Galaxy trailer dropped Monday morning, and since it hit the web, we've had plenty of time to dissect the new clip, and analyze its significance. 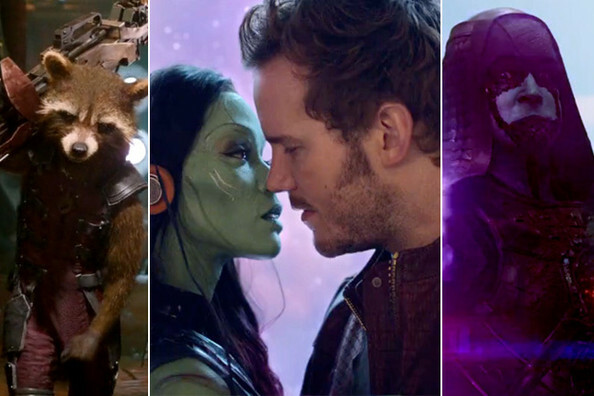 The first trailer was a pretty straight-forward introduction to the characters — a smart move since these are Marvel's strangest characters being brought to screen yet. 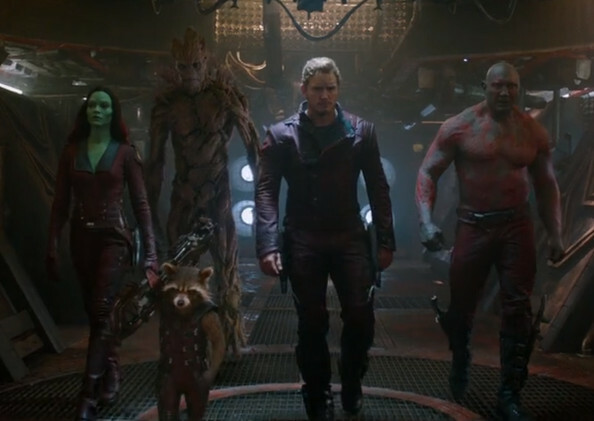 This trailer includes a quick intro to the core five Guardians, but also introduces several other characters, and sends some significant messages to fans. Here's what we noticed. 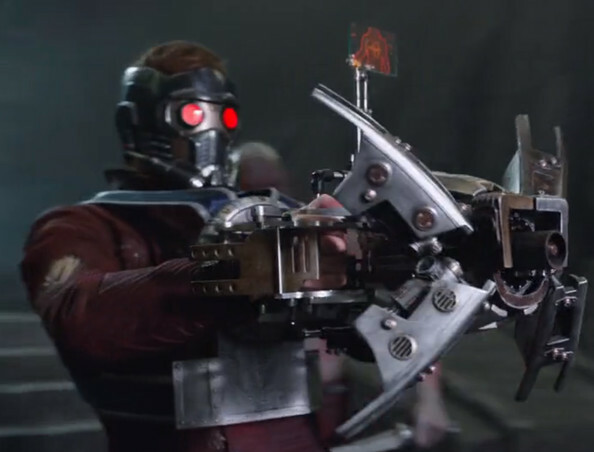 In the comics, Star-Lord carries a gun that can harness each of the four elements. It looks like this is some version of that gun, and they might be counting electricity as an element in some way? 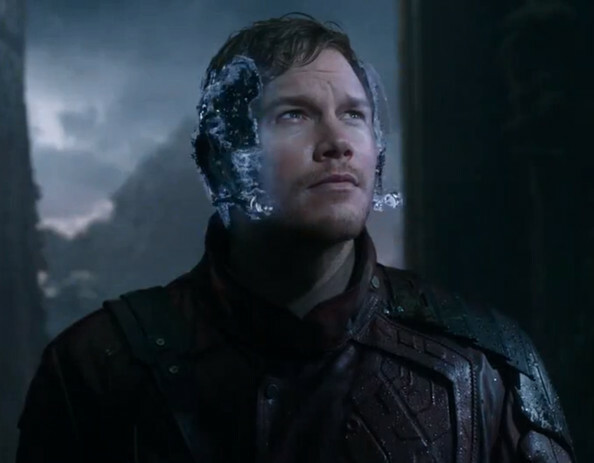 In the comics, Star-Lord's mask can regulate oxygen, helping him survive in otherwise inhospitable (for humans) environments, and, of course, providing some measure of protection. 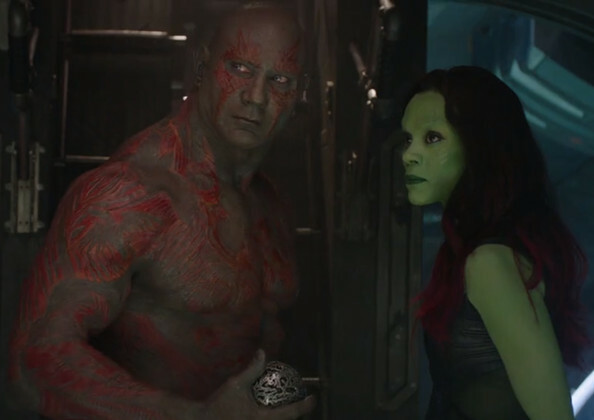 The new trailer shows the mask dematerializing, controlled, it seems, by a red blinking light (possibly an implant) under his right ear. It reminds us of the Kryptonian battle armor from Man of Steel. 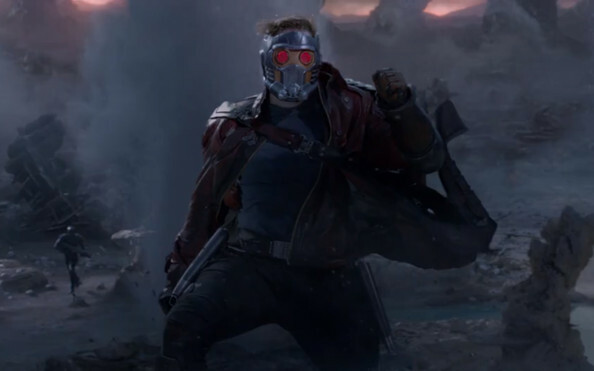 The first trailer almost made it look like Peter Quill, aka Star-Lord, was useless in a fight, but this time it looks like he's got some moves. 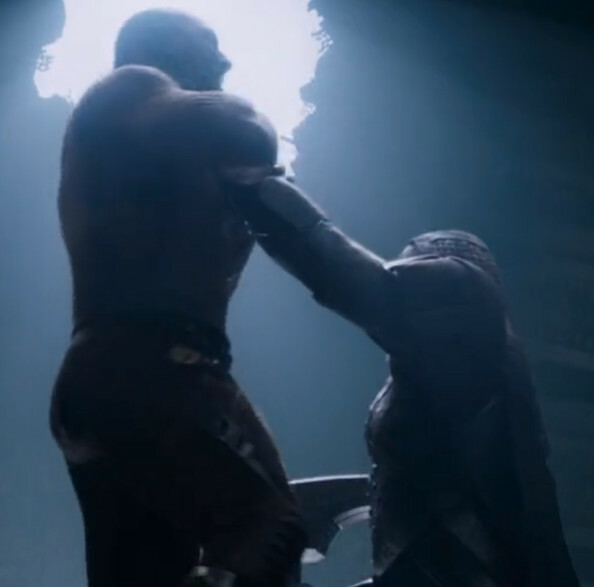 This time when Korath the Pursuer (Djimon Hounsou) confronts Star-Lord as he attempts to steal the movie's key MacGuffin, an orb capable of reigning destruction down upon the universe, Star-Lord ducks Korath's blast and escapes through the resulting hole in the wall. 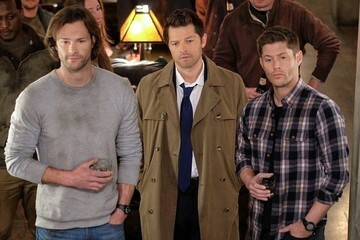 They're practically a rock band. 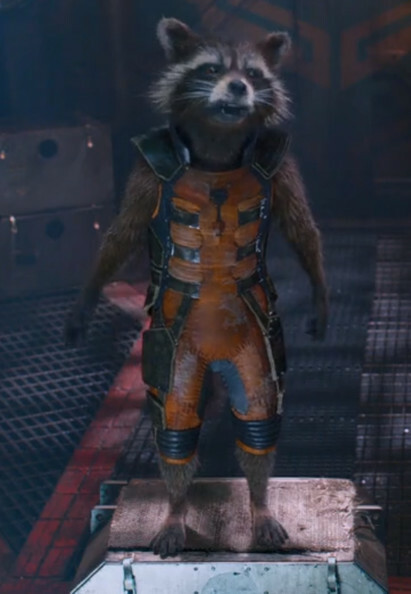 This is the first time we're getting to hear much of Bradley Cooper's voice work for Rocket Raccoon. 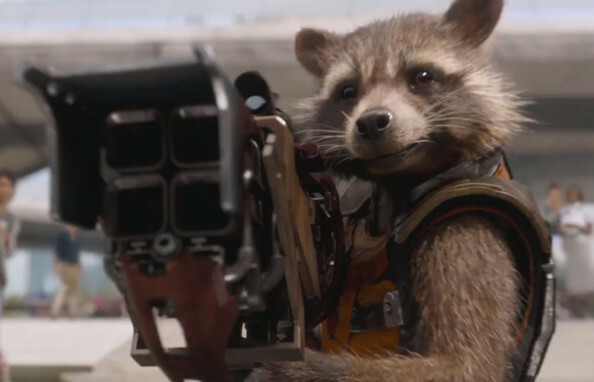 When the Guardians are making their long-shot plans to save the galaxy he quips, "Oh what the hell? 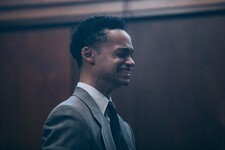 I don't got that long a lifespan anyway." Also he, uh, adjusts himself. Classy. 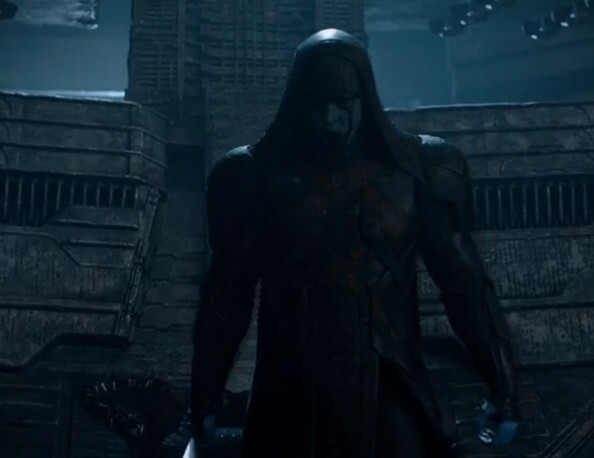 The first decent shots of Lee Pace as Ronan the Accuser are in this trailer, but they're so quick you don't even have to blink to miss them. 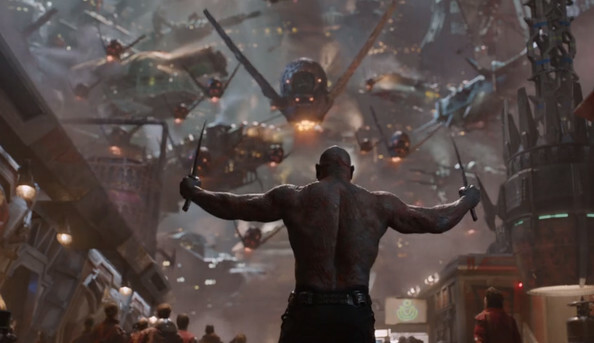 Marvel fans will likely notice two things about these shots: 1. 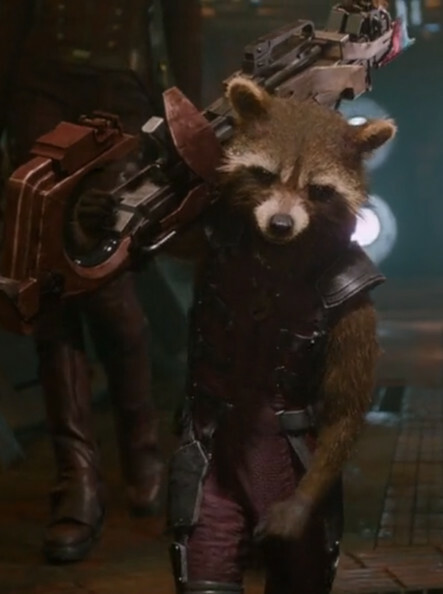 Ronan wields the powerful Universal Weapon, and 2. 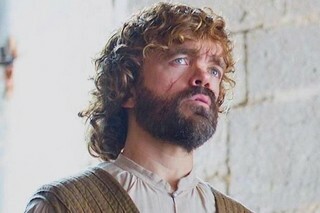 His skin is blue. 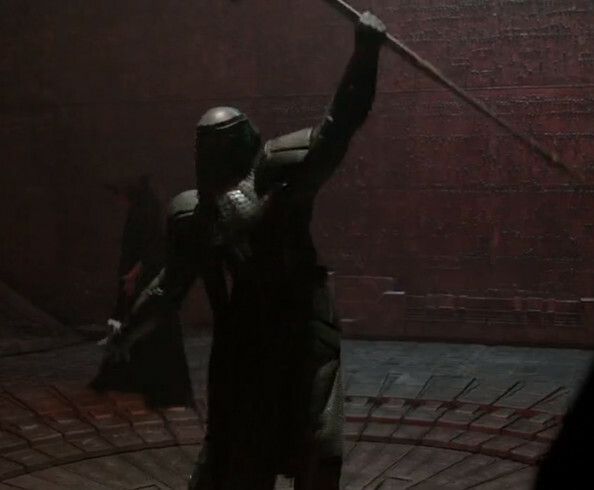 Since Ronan has blue skin, as do some of the background characters we've seen so far, it seems Guardians is keeping a key piece of Marvel mythology in tact. The Kree are one of the most advanced races in the galaxy, and the "pure-blood" Kree have blue skin while other Kree are more-or-less indistinguishable from humans. 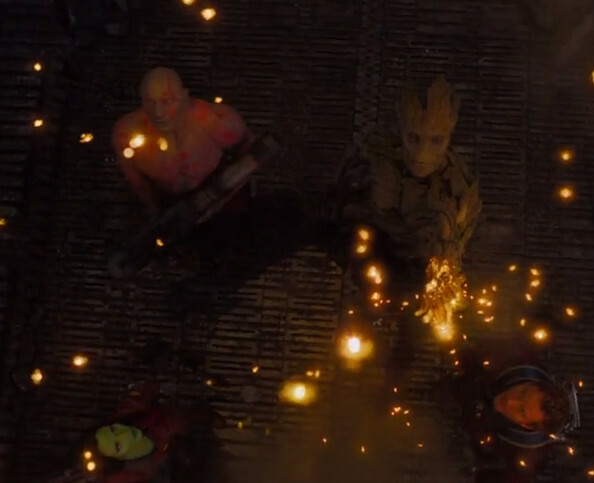 This orb is the thing Star-Lord is trying to steal. 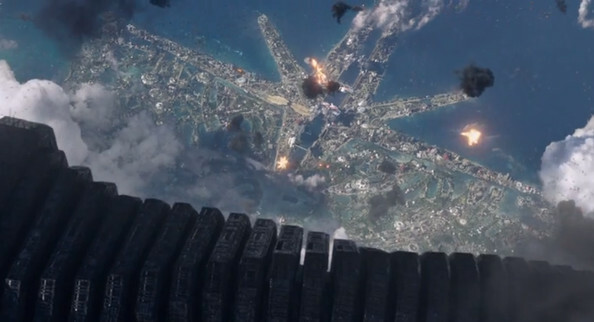 It's apparently capable of mass destruction, and it is very likely one of the Infinity Stones. The concept of the Infinity Stones (Infinity Gems in the comics) has only been hinted at so far in the Marvel Cinematic Universe. There are six Stones, each controlling some facet of existence (Space, Mind, Soul, Reality, Time, Power). 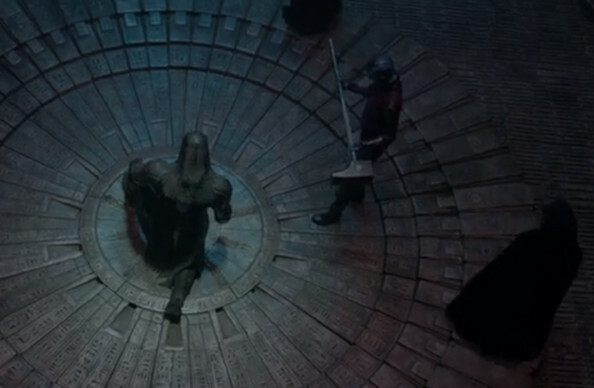 At the end of Thor: The Dark World, we saw Volstagg and Sif bring the Aether to the Collector (played by a white-wigged Benicio Del Toro). 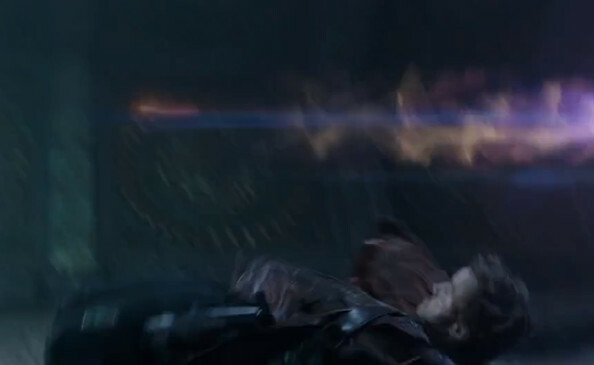 They asked him to store it for them because it was too dangerous to keep two stones on Asgard, where they already had the Tesseract. 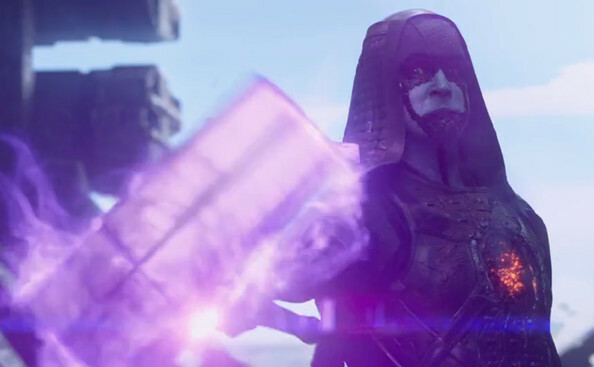 Marvel mastermind Kevin Feige has already confirmed the Tesseract is the Space Stone, and that the Aether is another, unnamed, Stone (possibly the Reality Stone). We'll have to wait and see which Stone the Orb is, but all six are very powerful. 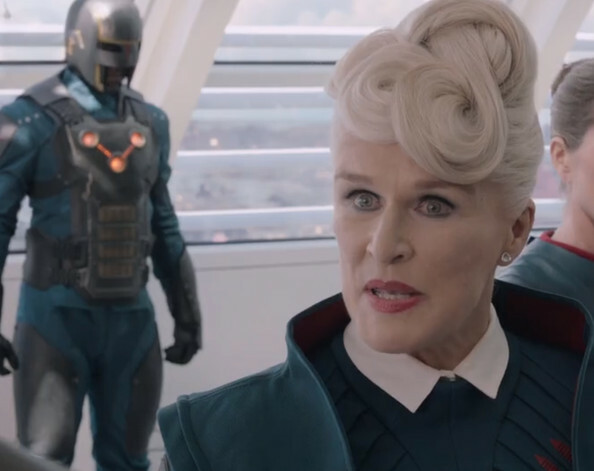 Mostly significant because this is our first shot of Glenn Close as Nova Prime Rael, this shot also outlines some key plotting. 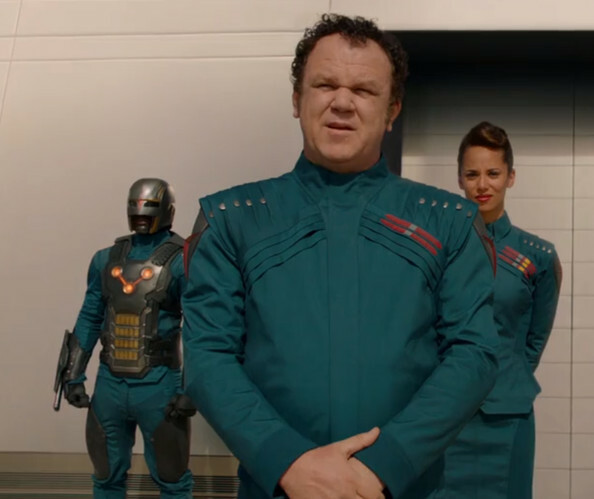 Rael is the head of the Nova Corps, basically the military arm of the Xandarians, an alien race that's not evil or anything, but is shown as being a bit bureaucratic. 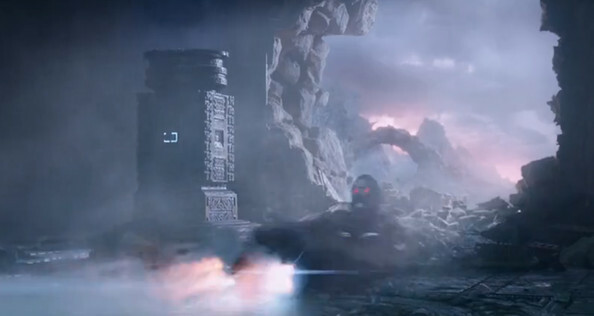 The trailer makes it look like Xandar, the Xandarian homeworld, is under threat, and ends up relying on the Guardians for help defeating (we're guessing) a power-mad Ronan. In a movie packed with weird stuff, Knowhere is extra weird. The decapitated and decaying head of a being called a Celestial, Knowhere has been retrofitted into a space station occupied chiefly by some less-than-savory space farers. 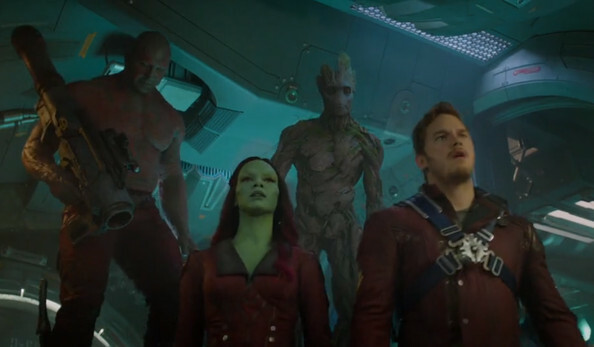 In the comics, the Guardians eventually make it their base of operations. 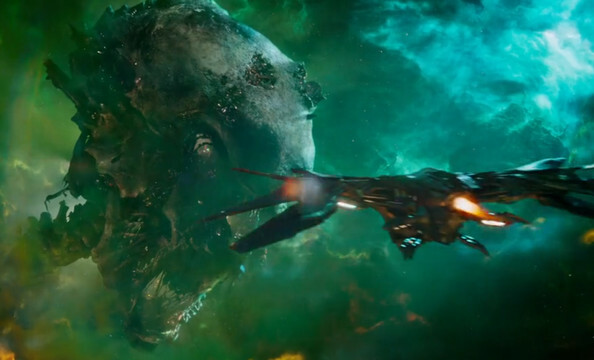 The floating severed head is located near the edge of the galaxy (not even sure what that means), and holds the dead Celestial's Continuum Cortex, which links it (both in time and space) to the other Celestials. The power of the Continuum Cortex has been harnessed at various points in the comics to travel through both time and space. 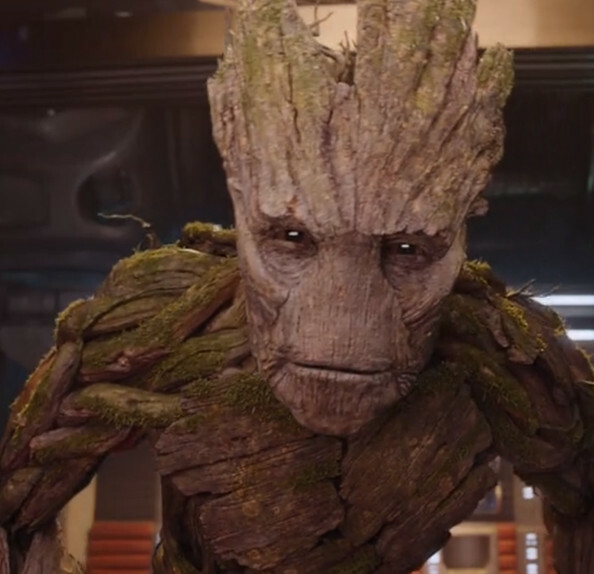 Vin Diesel voices Groot, a sentient tree-guy who buddies up with Rocket Racoon. 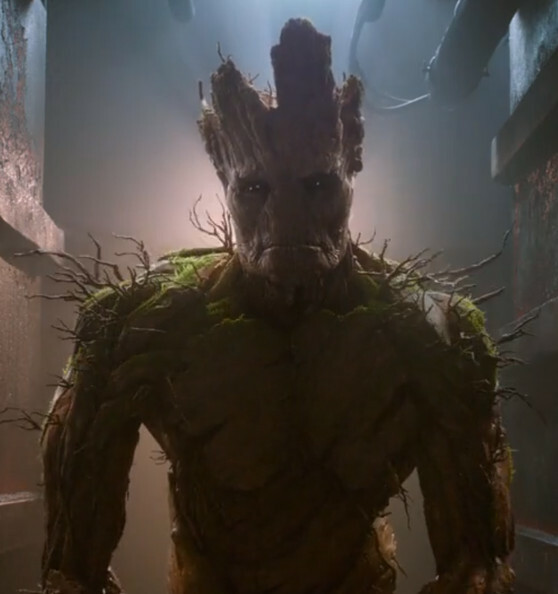 We know it's Vin because this trailer explicitly states, "Featuring Vin Diesel as Groot," and we finally get to hear Vin utter the words, "I am Groot." This is significant for two reasons. 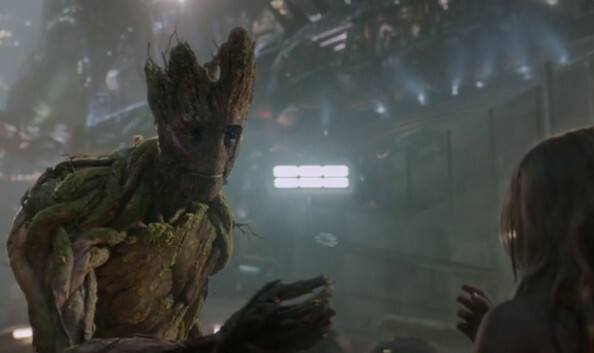 First, "I am Groot" is the only thing Groot EVER says, and Vin reportedly had to record thousands of takes on the phrase, which means something different every time it's said. 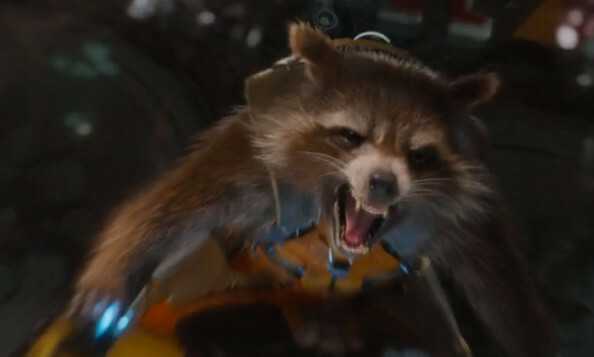 Second, as recently as just a couple weeks ago, some fans were convinced Marvel was messing with them. 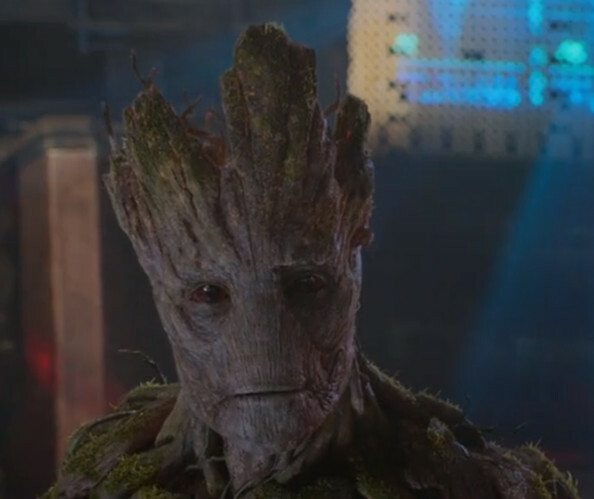 Sure, Vin had officially been cast as Groot, but why cast someone with that level of recognition to repeat, ad nauseum, only one line? The running theory was that Vin had actually been cast to play Marvel's big bad, Thanos, and the studio was playing coy. 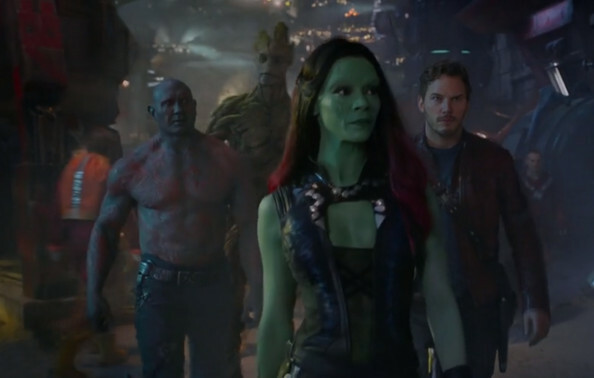 This trailer seems to put that theory to rest, so now we can all focus on the "Benicio Del Toro is actually Thanos" theory. 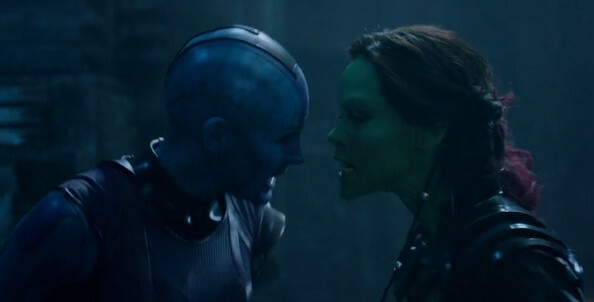 Karen Gillan and Zoe Saldana have both hinted at a big fight between their characters. 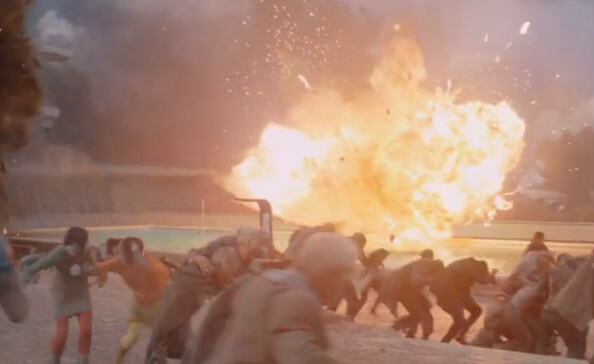 This trailer finds the two galactic assassins coming face-to-face for the first time. 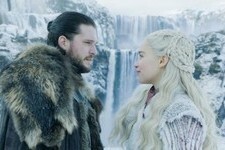 We can't wait to see what happens between them in the movie. No idea what this thing is, but it looks cool! 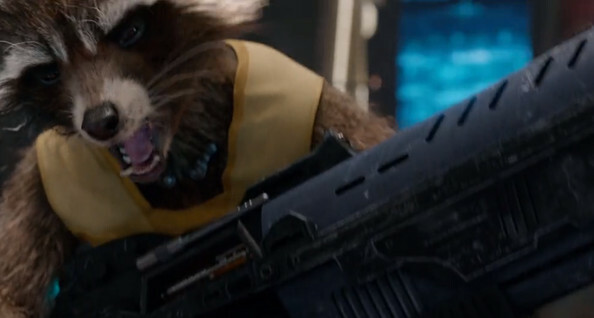 We know, based on his appearance in the mid-credits sequence from Thor: The Dark World, that the Collector is going after all six Infinity Stones. 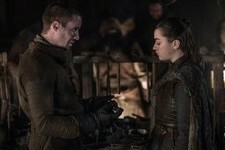 "One down, five to go." 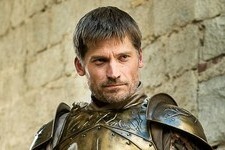 We don't know why he looks so worried in these few frames from the new trailer. 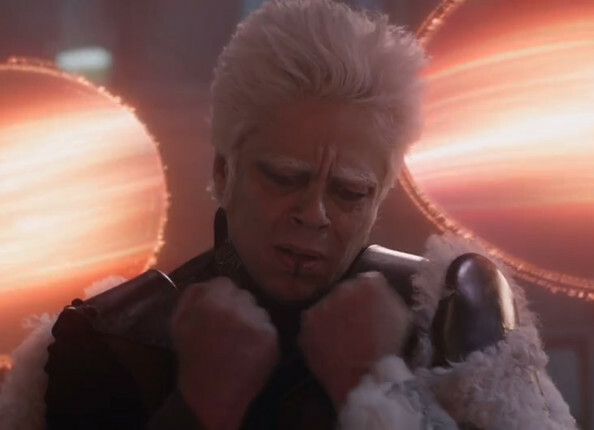 Some fans think Benicio's Collector identity is just a front, and that he's actually Thanos in disguise, but we're not so sure about that. While she listens to his Walkman no less. By the way, how have those headphones survived 30 years of space travel without getting all bent to hell? And the cord still works, too? Amazing! 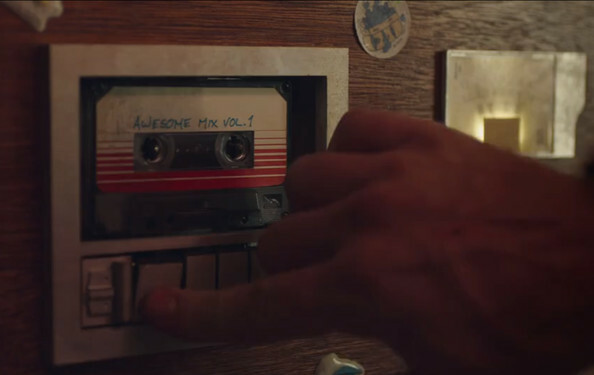 Also, check out his sweet sound system, complete with a troll doll and an ALF sticker, below. 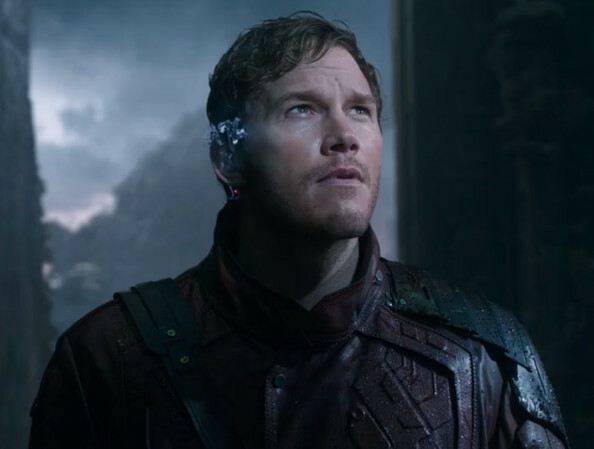 As the Xandarian Rhomann Dey, Reilly brought life to the first Guardians trailer thanks to some quippy, unimpressed-sounding introductions of the key characters. 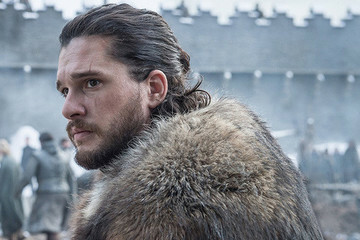 This time he's only in a few shots, but we're hoping he gets his time to shine in the final movie. So after all that? 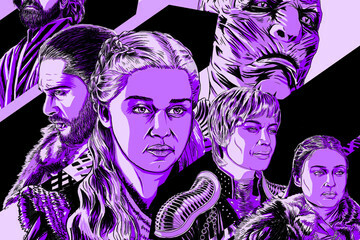 Who's your favorite character? Vote below. 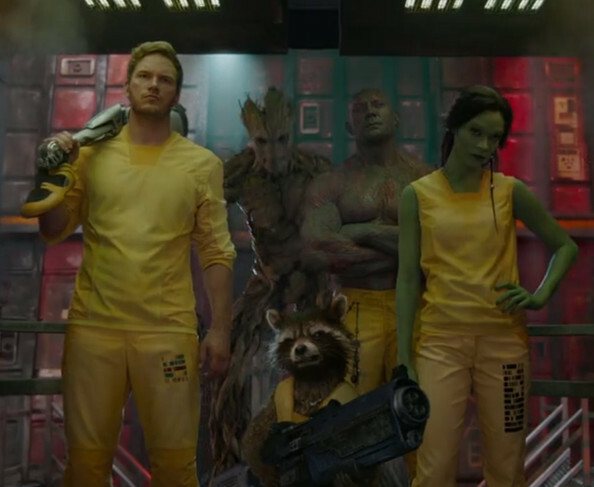 Poll: Which 'Guardians of the Galaxy' character is your favorite?